Hey friends! The skies are dark and rainy here, but thankfully there is always some sunshine to be found on the interwebs if one looks hard enough! Diabetes is a real problem on my dad’s side of the family, primarily due to a lack of healthy eating choices – lots of refined sugar and white starches, very little (if any) fresh produce, and almost zero exercise. In the past few years I have seen too many people I love have their quality of life greatly diminished due to this lack prevention, and I have also seen the toll that their poor health takes on their caregivers. And so, in the past couple of weeks I have begun making some lifestyle changes, embracing the grace of second chances, and starting fresh – beginning with my sugar intake and my activity level. It is no secret that I have a sweet tooth, but as much as I love most things sugary, it is not a love I am willing to die for. But still, the sweet tooth remains. So, what to do? For me, right now, the most obvious solution is fresh fruit, and treats that I can make using fresh fruits without adding refined sugar. 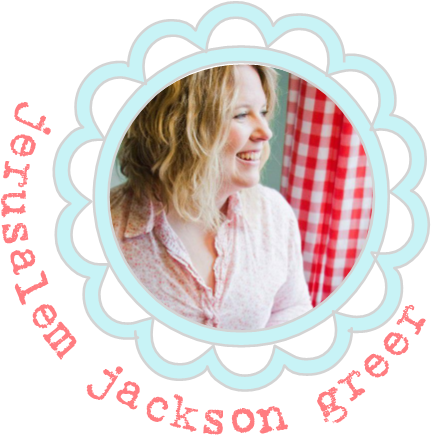 With summer coming I am on the hunt for sorbet and frozen yogurt recipes that fit this category – things I can make at home from locally grown produce and natural ingredients. 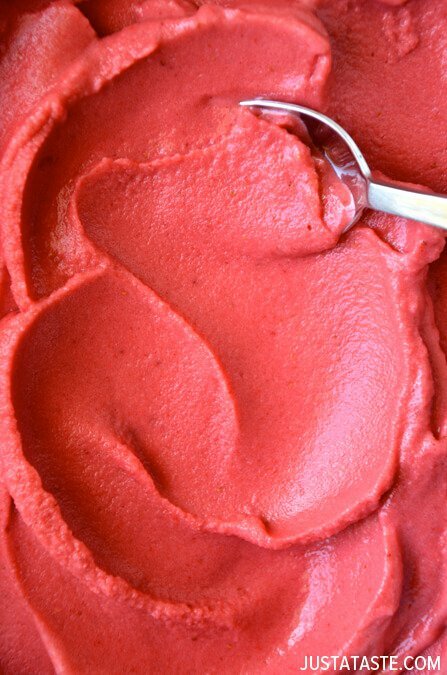 I think that this Five-Minute Strawberry Frozen Yogurt recipe from Just A Taste fits the bill perfectly and I cannot wait to try it with some fresh Arkansas strawberries! Sweet Man has been leading the charge to get our first garden in the ground, and the boys and I have been helping as much as we can, but it is a huge garden and there are so many plants being planted that I am losing track of what is what – especially the places where we are planting straight seed. This weekend promises to be a wet one, so I am hoping that Miles and I can knock this great little project out and then get them in the ground while the soil is still soft! With my second book coming out next spring, the time has come to begin to think again about marketing again (something writers themselves have to think about more than their publishers these days…) When my first book came out I was completely stumbling in the dark, trying to find ways to promote my book and my message that felt authentic but smart. I can’t help but wonder how much better and how less alone I might have felt, had the Hope * Writers Podcast and Hope * Writers* website existed then. Listening to this podcast is so much fun because I can identify with many of the first-time writer mistakes that the host themselves admitting to having made, and I am learning (and being affirmed in what I am already doing) from their insights about things like how to engage on Instagram and staying on message. 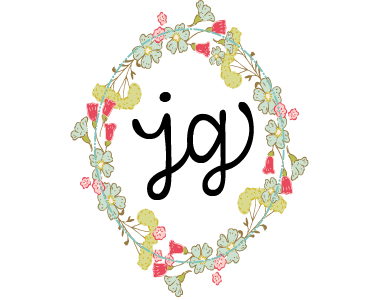 If you are working on a book or hoping to work on a book, or if you are a blogger looking to expand your platform, you might want to check them out. 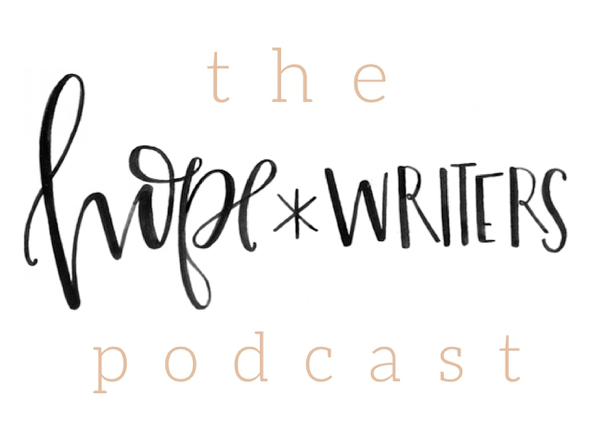 *Note: Their website is a subscription service, but they have a one week trial happening now for just $1 – go to hopewriters.com/trial to check it out. 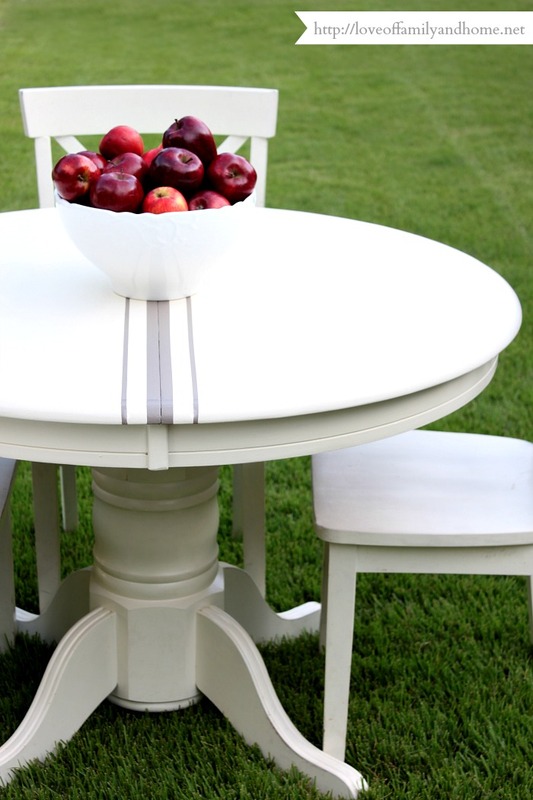 The time has come to make-over my dining table to better fit this house, and I am thinking that something along the lines of painting the table white and adding grainsack stripes on the sides, might just be the way to go… If so, this is tutorial seems to be the most comprehensive of all the ones I have found. Also, I might be a *bit* grainsack-stripe and ticking stripe obsessed right now. This is so close to my heart. It was adopting that opened my eyes to so many things, including the truly precious gift of a home that so many gay couples were willing to give. They are often willing and able to love and care for kids who would otherwise be stuck in the foster-care system their whole lives. It breaks my heart that the church for so long has said to other parts of the body of Christ “We have no need of you” when they so obviously, so painfully DO need them. YES! YES to this! Yes and amen! 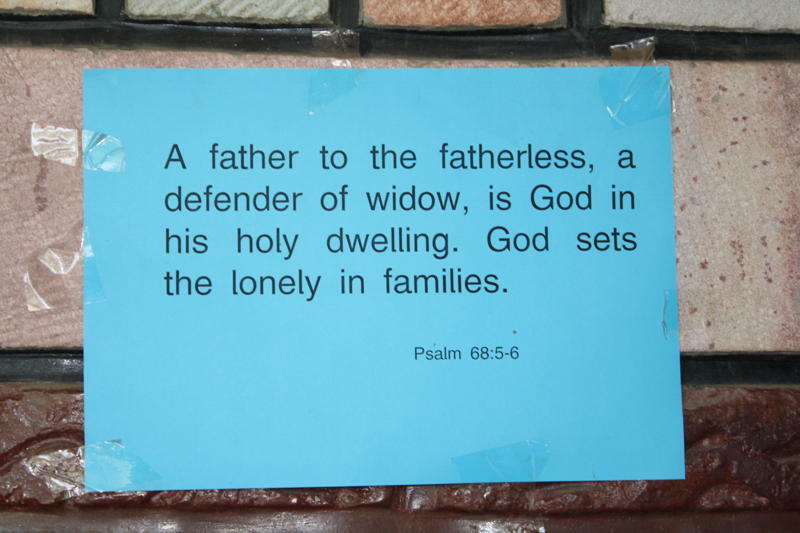 God set’s the lonely in families – and now more families can find each other! The Message changed the way I read the bible, and brought a fresh wind of faith into my life at a time when I was extremely parched and dry. This translation is still a go-to source for me when studying scripture, preparing sermons, and in my writing, so I love this conversation between Eugene Peterson (who translated The Message) and Bono. The film is about 20 minutes long, but so well worth the time. One of my goals here at #PreservationAcres is to eventually host some farm-to-table fundraising events for some of our favorite charities. 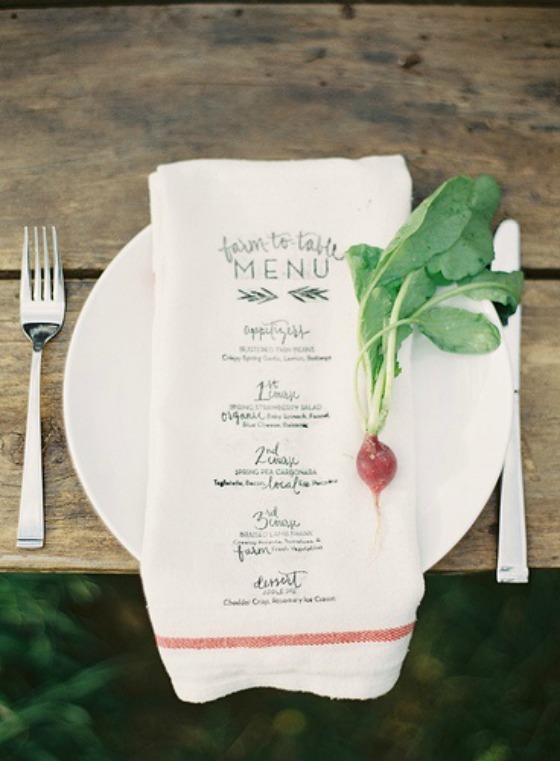 I think printing a menu or favorite quote on a tea towel/napkin for each guest would be a lovely party-favor. I couldn’t find the direct source for this image or project, but I pinned it all the same. Wouldn’t that be a lovely thank you and reminder of a dinner that celebrates a place where healing and love is being provided in the world? I think so. At least it would be useful! 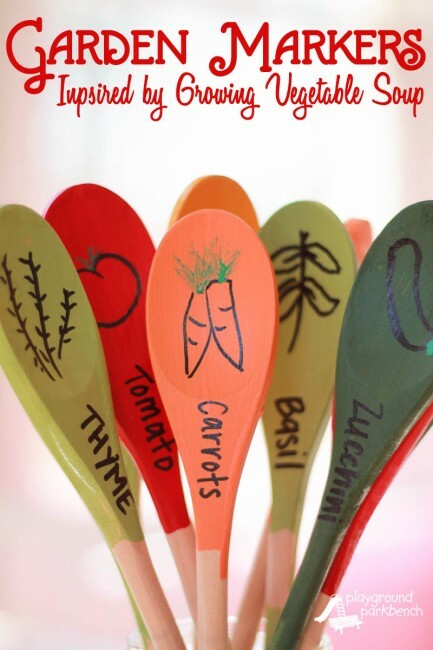 And don’t forget – there is still time to my order my book, A Homemade Year, for Mother’s Day! Happy weekend friends! May you find the grace in the midst of beauty and mess!